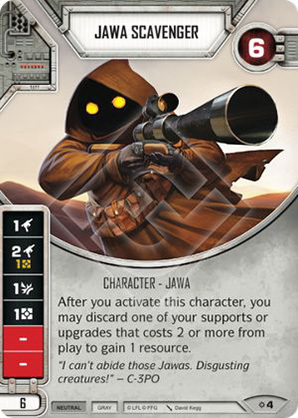 Character - Jawa. Points: 6. Health: 6. After you activate this character, you may discard one of your supports or upgrades that costs 2 or more from play to gain 1 resource.